Nina Chan is a marketing and graphic design professional based in San Francisco, California. She majored in Visual Communications and Business Marketing at San Francisco State University. She continued her education at Hult International Business School where she earned a Master’s in International Marketing and had the opportunity to study in San Francisco and London. Studying at an international school and forming relationships with diverse teams of people from over 30 different countries have broadened her views of the world. 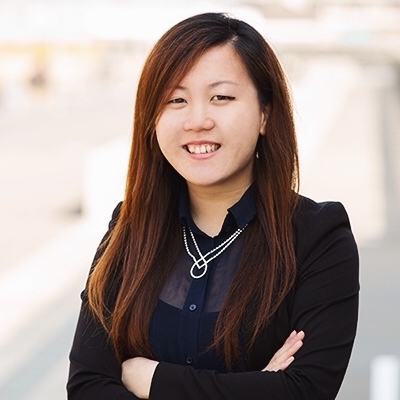 As a Bay Area native with a strong background in design and marketing she understands the importance in adapting to the changing technological landscape both locally and globally. Nina strives to utilize her international education and further expand her definition of business, design, and technology. She believes that the intersection between these three fields is important and should be carefully crafted and strategized in order to build a successful company. Nina has an impressive list of accomplishments that demonstrates her ability to be an effective leader. She has a strong sense of community and performing philanthropic service. This is evident in the amount of events she has organized in which she donated proceeds to support social causes such as Liberty in North Korea, Hurricane Katrina Victims in New Orleans, Tsunami victims in Southeast Asia, as well as local community organizations in the Bay Area. Nina took it upon herself during her last semester at San Francisco State University to organize a large-scale fundraiser and women empowerment event called “HerStory”. She demonstrated her unique leadership abilities by building the event from the ground up and through many organizational obstacles barring its realization. She had a vision for the event, planned all the logistics, identity and voice, as well as organized the performers and special speakers for HerStory. The proceeds from this inspiring event were donated to fund Lupus research at the North California Lupus Foundation, a disease that affects 1 in 4 women of color. It is because of efforts such as “HerStory” that Nina’s peers and organization awarded her the “Outstanding Student Leader and Graduate Award” at her graduation. Nina is currently working in Corporate Marketing at T.Y. Lin International, an award-winning global engineering and consulting firm.